Can those be described as recipes? Certainly examples such as this are a world away from Jerry Stannard’s model of a recipe as a formula with four essential parts: purpose, ingredients, procedure/equipment, and application/administration.3 Or compare Anne Stobart’s recent suggestion that private and emotional frustration in medical matters can be revealed by the ‘not-recipes’ in recipe books. The recipe as aide-mémoire. MS 1322. Image Credit: Wellcome Collection, London. 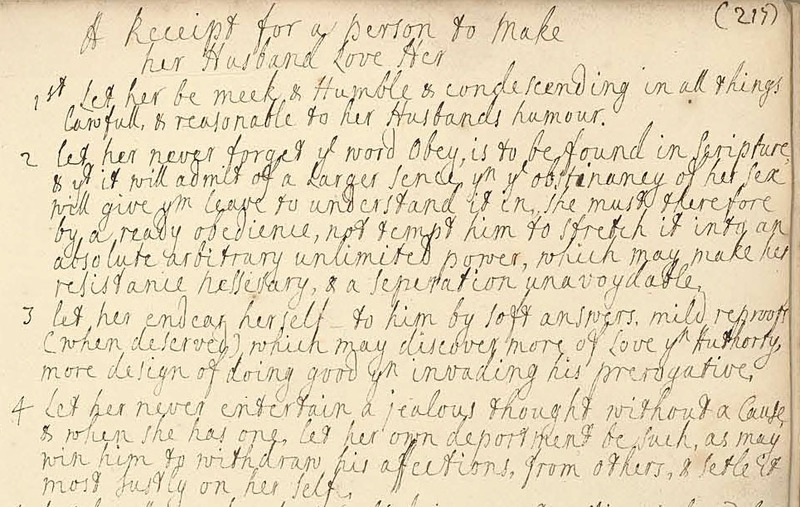 Part of ‘A receipt for a person to make her husband love her’. MS 1320. Image Credit: Wellcome Collection, London. We can compare this to the modern usage of phrases like ‘recipe for success’ or ‘recipe for disaster’. By closely examining the contents of early modern recipe books, it becomes clear that it is not so straightforward after all to determine just what a recipe is. Recipes as a genre are malleable and adaptable–and these collections were working documents that acted as repositories for useful knowledge in a significant range of areas. 1. U/DDHO/19/3, Hull History Centre, 1816. 2. MS 7492, Wellcome Collection, late 18th century. 3. Jerry Stannard, “Rezeptliteratur as Fachliteratur”, in W. Eamon, Studies on Medieval ‘Fachliteratur’ (Brussels: OMIREL, 1982). 4. CA/B50/3, Cornwall Record Office, 1777. 5. Pocket book of John Belling, clockmaker of Bodmin, X949/1, Cornwall Record Office, 1737-51. 6. 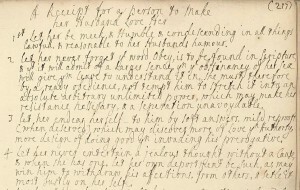 Commonplace book of John Sargent, Wilberforce 291, West Sussex Record Office, 1775; DD\X\FW, Somerset Archive, c.1751. 7. MS 1322, Wellcome Collection, 1660-1750; MS 1795, Wellcome Collection, 17-18th centuries. 8. Medical recipe book, Pares of Leicester and Hopwell Hall, D5336/2/26/9, Derbyshire Record Office, 18th century. 9. 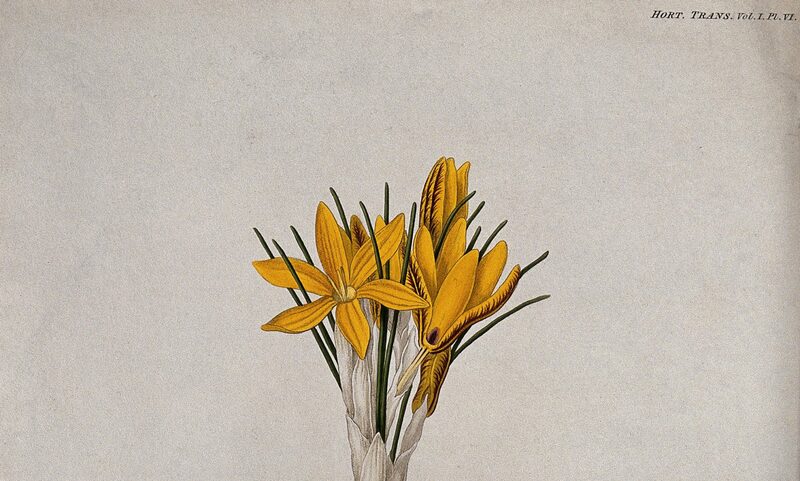 ’A collection of the best receits’, Katharine Palmer, MS 7976, Wellcome Collection, 1700–39. 10. MS 5509, Royal College of Physicians, 18th century.